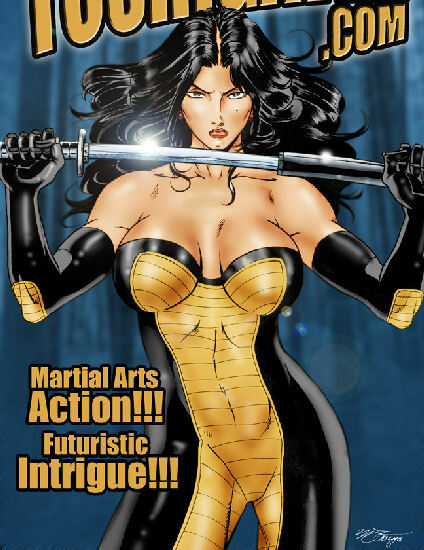 Powers/Abilities: Skilled martial artist, telekinetic (little conscious control). Accelerated healing. History: For centuries Japan has been secretly ruled and guarded by the Toshigawa clan. But when one of its former members, Terminus, became the new Japanese Emperor, to remove any threat to his rule, he slew the rest of the clan using his private army, the Knave. The Clan sent his daughter Shianndrea, whom the clan believed was the Chosen One who will defend the Earth from an invasion by demons, to America where they believed she could finish her training in safety while they fought Terminus, much to her chagrin as she too wanted to fight Japan's conqueror. In the US her new friend Dan gave her the nickname Jetta. Comments: Created by Martheus Wade and Janet Wade. Published by Maw Productions. Jetta will be appearing in the War of the Independents.